Family Historian version numbers are made up of three numbers separated by dots, when written in full (e.g. 6.1.4). However you don’t always have to state all three numbers. Sometimes only the first two are mentioned (6.1.4 is also version 6.1), and sometimes only the first is mentioned (version 6.1 is also version 6). Any version number where the first number is 6 counts as version 6. 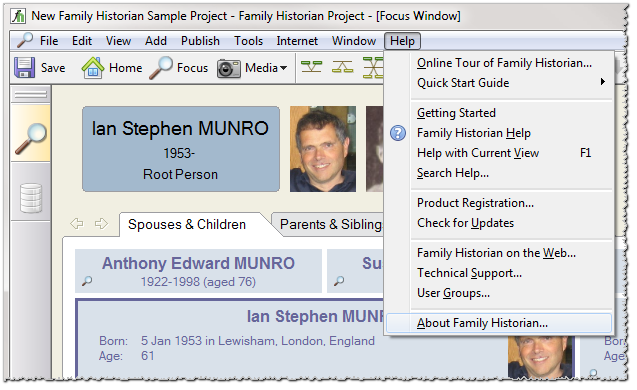 To find out which version you have, run Family Historian and click on “About Family Historian…” on the Help menu.